Facing Charges of Domestic Violence in the Silicon Valley? Under the California Penal Code, domestic violence makes it illegal to use physical force or to communicate threats of harm against an intimate partner. Contrary to popular belief, that partner does not have to be a spouse or a significant other. Domestic violence charges can be brought by an ex-husband, ex-wife, child or other relative. Even a roommate can allege domestic violence in California. Furthermore, conviction for domestic violence in California can lead to terrible consequences. Endangering noncitizens’ eligibility for H1-B or work visas. Significant jail time or fines due to violations of restraining orders (even when a domestic violence charge is made falsely). Dramatic consequences for custody or alimony disputes. Call 619-239-2186 for a free and confidential consultation. When choosing your attorneys, experience matters. We know firsthand how our opponents build these types of cases, and we have the experience to defend you against them. The belief that charges could yield benefits in divorce or child custody proceedings. False allegations of domestic abuse out of anger or jealousy. An accident being misinterpreted as an incident of domestic battery by the police. 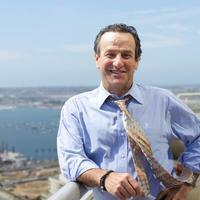 Call Michael Berg for a free consultation with San Jose domestic violence lawyers. We are on your side no matter how challenging your case may be: 619-239-2186.